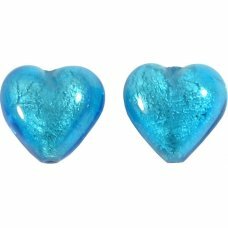 Pair Murano Glass Aquamarine Sommerso 14mm Heart BeadsWe source the beads direct from the makers so .. 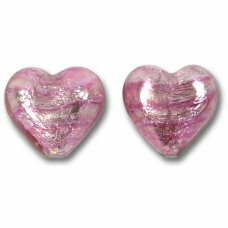 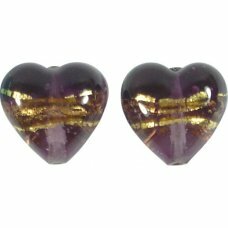 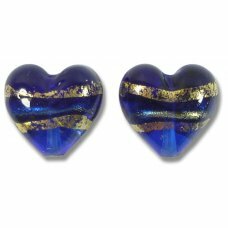 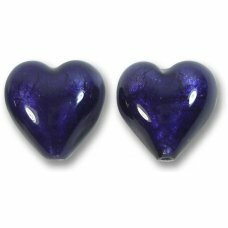 Pair Murano Glass Light Amethyst Sommerso 14mm Heart BeadsThese beads (also known as Venetian Glass).. 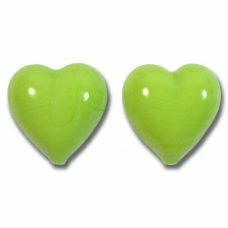 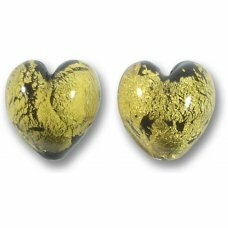 Pair Murano Glass Lime Green Sommerso 14mm Heart BeadsThese beads (also known as Venetian Glass) are.. 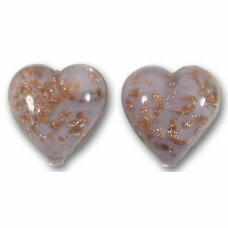 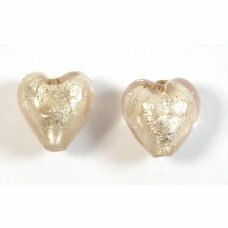 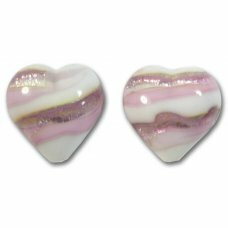 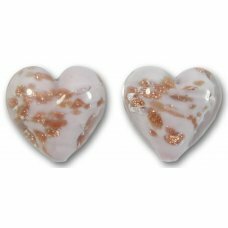 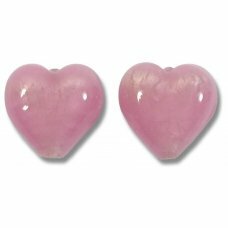 Pair Murano Glass Light Pink Sommerso 14mm Heart BeadsThese beads (also known as Venetian Glass) are.. 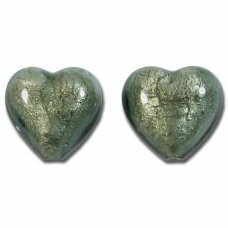 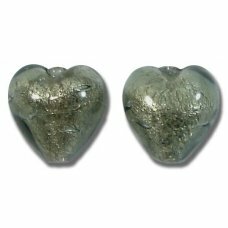 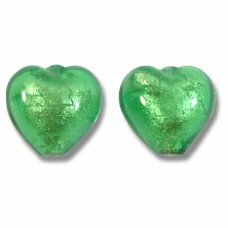 Pair Murano Glass Turquoise Green Sommerso 14mm Heart BeadsThese beads (also known as Venetian .. 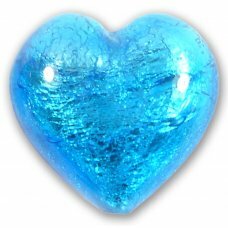 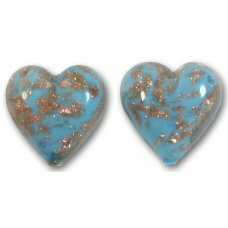 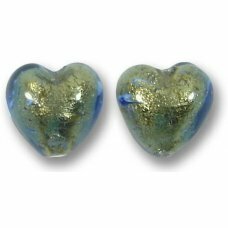 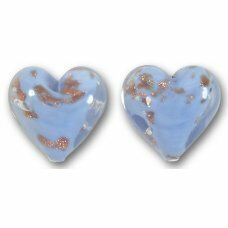 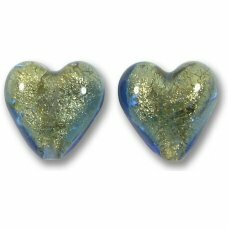 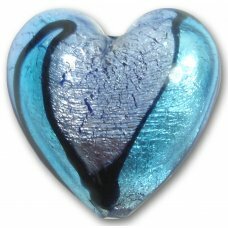 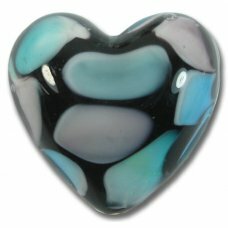 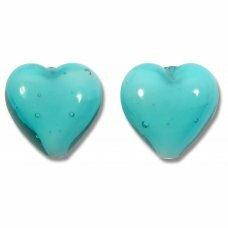 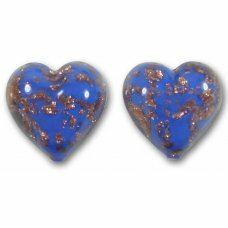 Pair Murano Glass Turquoise Blue Sommerso 14mm Heart BeadsThese beads (also known as Venetian Glass).. 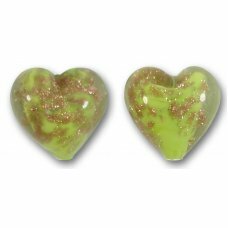 Pair Murano Glass Cobalt Sommerso 14mm Heart BeadsThese beads (also known as Venetian Glass) are han..
2 Murano Glass Opaque Lime Green 14mm Heart BeadsThese beads (also known as Venetian Glass) are hand..
1 Murano Glass Ruby Red Heart 22mm Pendant. 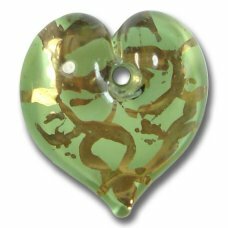 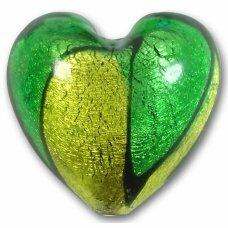 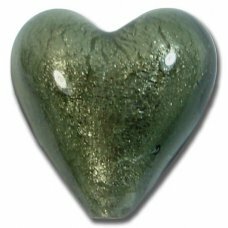 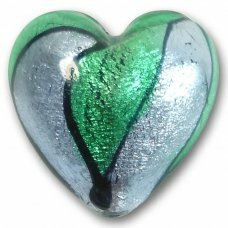 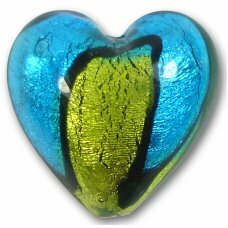 Flat verde green base overlaid with swirls of gold foil ..
1 Murano Glass Verde Green Heart 22mm Pendant. 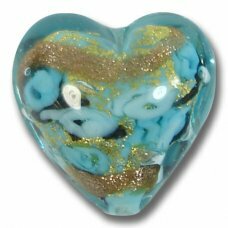 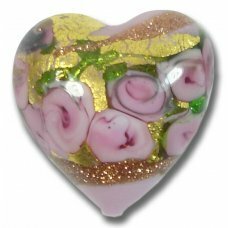 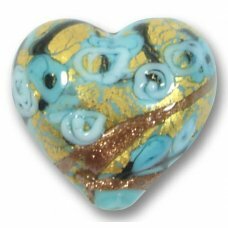 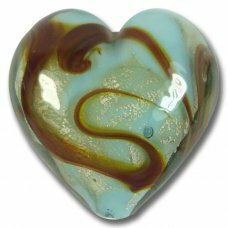 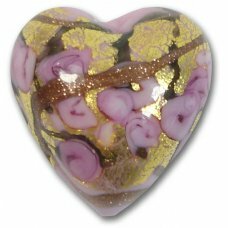 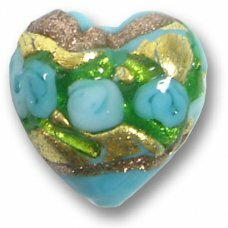 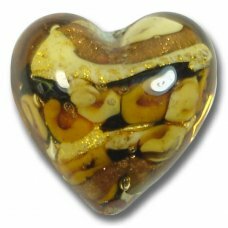 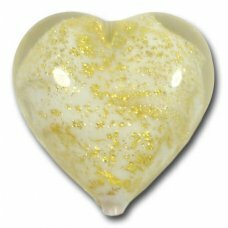 Flat verde green base overlaid with swirls of gold fo..
1 Murano Glass Rococo Rose Gold Foiled 32mm Heart Bead. 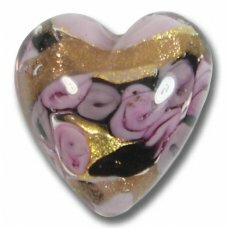 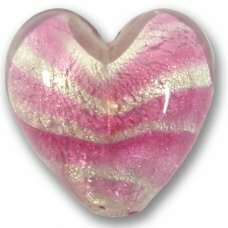 Opaque rose pink base with crackle golfoil s..
1 Murano Glass Rococo Aquamarine Gold Foiled 32mm Heart Bead. 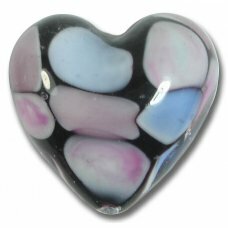 Opaque aquamarine base with crackle go..
1 Murano Glass Pastel Spots 30mm Heart Bead, black base with pink & light sapphire pastel spotsT..
1 Murano Glass Pastel Spots 30mm Heart Bead Black Base with Turquoise, pink & light verde pastel..
1 Pair 12mm Murano Glass Rose Blush Hearts white glass base wrapped with a precious silver foil and ..
1 Murano Dark Aquamarine Silver Foiled 28mm Heart hole runs top to bottom. 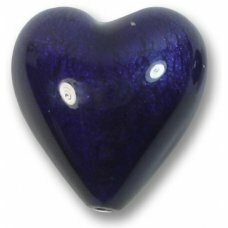 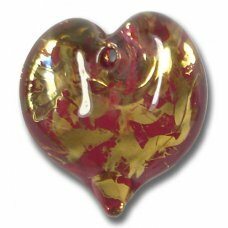 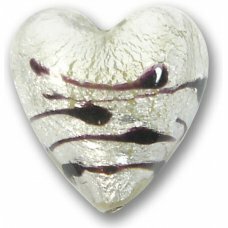 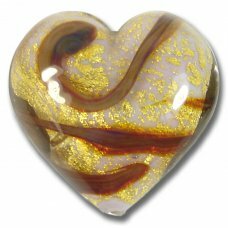 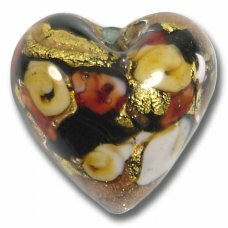 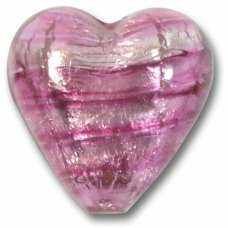 The glass core of..
1 Murano 2 Tone Amethyst and 24kt Goldfoil Band 20mm Heart pretty focal pendant. 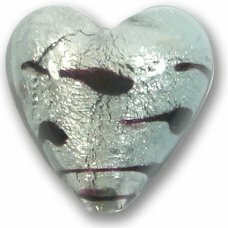 The glass core of ..
2 Murano White Gold Foiled Purple Velvet 14mm HeartsNote this batch is darker than previous due to t..
1 Murano White Gold Foiled Purple Velvet 20mm Heart Note this batch is darker than previous due t..
1 Murano Glass Rose White Goldfoil 20mm HeartThese beads (also known as Venetian Glass) are han..
1 Murano Glass Black Diamond White Goldfoil Lacrima 20mm Heart BeadThese beads (also known as Veneti..
1 Murano Glass Clear White Goldfoil Lacrima 20mm Heart BeadThese beads (also known as Venetian Glass..
1 Pair 14mm Murano 2 Tone Amethyst and 24kt Goldfoil Band Hearts would make lovely earrings. 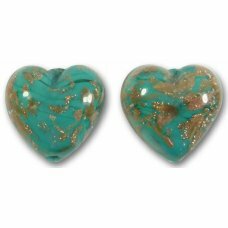 These..
2 Murano Dark Aquamarine White Gold Foil inside 14mm Heart Beads hole runs top to bottom The glas..